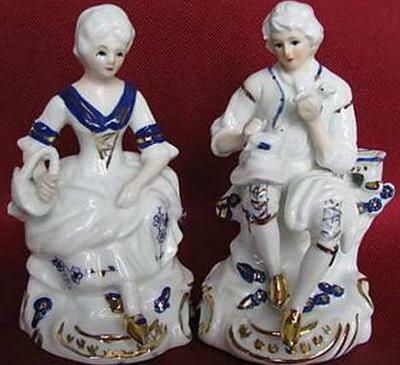 Porcelain Mark Query - Crown over S:- Hello, I have a pair of blue, white and gold porcelain figurines standing about 5 inches tall. She is carrying a basket and he is feeding birds. They appear to be matched and both have the Crown over S in black on the underside. Can you tell me their origin and vintage. Thanks for taking the time and trouble to upload the very clear photos and become part of this friendly online community. 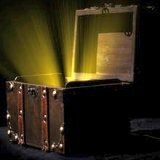 Now, about your naive figurines and S underneath crown query. I have had a series of these exact marks sent to me lately and the short answer is I am unable to positively identify this particular mark, because it is not one of the known marks - it appears to be a modern mark designed in homage to the older makers (see the three well cataloged marks I uploaded above). 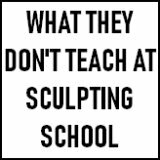 Or perhaps, it's just a plain and simple sneaky and dubious marketing technique from Far East Mass producers? 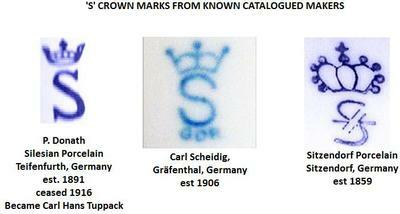 There are three German makers who have used variations of a crown over S mark over the years. of these older marks from established and more collectable firms. My conclusion is the mark is either a more modern variation of one of these German factories (in which case I don't quite understand why they would be doing such poor quality rip-offs and bunnykins type rip-offs), or a Far East maker who is trying to pass off their wares as having an association with one of these German makers. The clue is in the range of products we have now evidenced from various visitors. This particular clean and modern looking stamp has a range of goods which look as of they are trying to pass off as other older ranges. For me this shows either a lack of marketing 'focus' and/or a tad of desperation. For me it is either modern Chinese or 1950's Japanese, or less likely, a more modern Eastern European maker. Hope this rather long answer helps! used your site once and found it to be very good for information on makers marks. 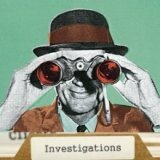 There is already a couple of threads on this subject. Start on this page and follow the links to various other postings. The short answer is this mark is not positively identified anywhere - it is not one classified as one of the well known German makers, and so my current feeling it is a post-war Japanese maker trying to sell cheap versions of German looking popular items. The Crown with the S under. Hi I have a victorian man and women sat at a table playing Chess, it is in prestine condition, and it is 10 inches in lenght 6& half inches high and 4 inches wide. It was past on to me and is well over 40 years old please would any body know the manufacture and to what value would it be worth. I have 3 very nice figures of ladies with this mark, two of the ladies are accompanied by dogs. My Mother has had them for a number of years. I wondered if they were Crown Staffordshire China as we live in the potteries and she aquired them there. I have a boy/young man with a cow with the S under a crown mark. It is somewhere around 50 years old, probably a bit older. Im trying to find out who made it and where. I have a figurine about 4inch high of a little boy pour a watering can and at his feet is a flower which he is watering,he is wearing a has blue pair of trousers with straps that go over shoulders and white shirt,also he has in the same colour blue a hat over his blonde curly hair,on the bottom is a Crown over an S with the word foreign etched in the porcelain (it's not inked)like the crown and s could you tell me about this please. I have a porcelain figurine - goose girl with crown over S hallmark. Can you tell me my thing about it? I have a figure of a girl in a Pierrot suit and hat sitting on top of a pair of dice. It is Matt and in pastel colours. I have a figure of a diver boy holding a big fish, the Crown over S stamp on the bottom. The shield shape tag attached to the figure reads "Saxony" on one side and "Your Guarantee of Quality" on the other. 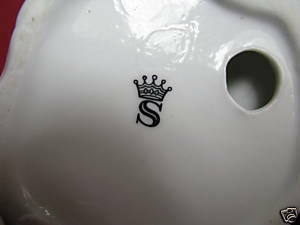 The Crown over S mark belongs to German porcelain maker Carl Scheidig. Adjust sorting some things of my mother in laws and came across a eagle on rock.it had the crown under neath and a s would it be worth keeping please.